As you probably noticed, these gowns are just a few rectangles sewn together. The gowns lend themselves to your skills, what ever they are. Notice Kathy's gowns, she has used pintucks as her main design feature. The cross is machine embroidery but, you could do hand embroidery. If you wanted to do something a little fancier you could add lace. Really, it is up to you, there are no set rules. You might even choose to smock a gown. To me, the most important part is to make a few gowns. No parent is prepared with something special for their little Angel. First project, will be Wee Care gowns. 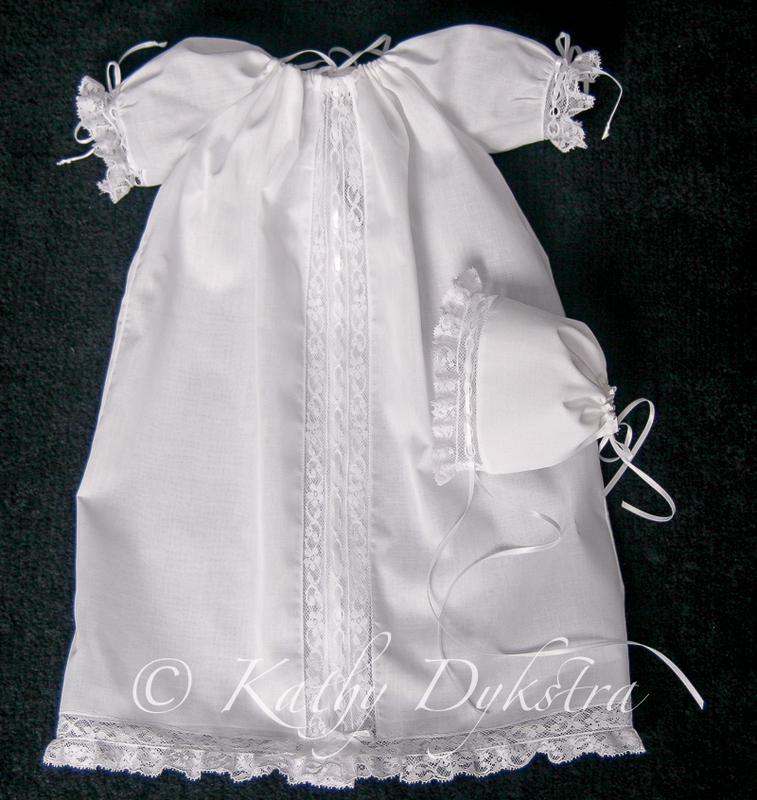 These gowns are donated to the hospital for wee little ones that do not survive and become Angels. Some Children's hospitals also use the gowns for preemies, needing extra care. So much better for the parents of these wee ones if they can see them dressed in something sweet. The gowns still need to function for hospital use, so they are left open down the back and usually tie with a ribbon. The arm sleeves are extra big, to allow for tubes. Not all gowns need to be smocked. I like to make both smocked and unsmocked. So don't let the idea of needing to smock something hold you back. Here are some examples of gowns Kathy made. Next we will discuss fabric and patterns. 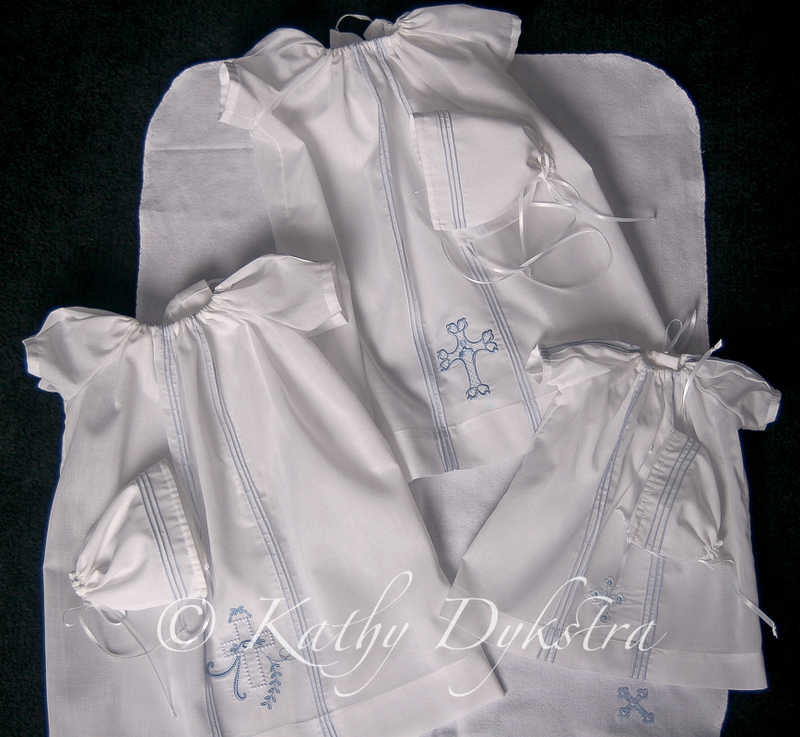 Plus if you do like to smock we will share some of those. 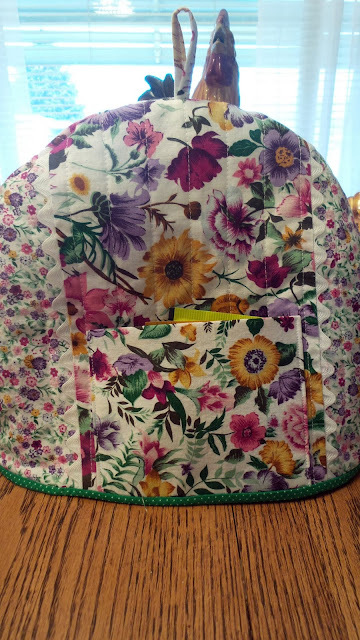 With a lot of the organizing done, I am so ready to get to sewing projects. MarmyCakes, asked about my next project and I really have a lot of ideas running through my head. 1. To get wee care gowns made. I am trying to think of a good number to aim for. I am so much better getting things done if I set a goal. 2. Continue making Christmas presents. I was able to make everyone on my list a little something this year. All the grands will get reading pillows. these were so fun to make. I will use this machine a lot more and also will be using the feet, that came with my sewing machine a lot more. Plus blogging and hoping you have questions that I can answer. Quilting, will be another part of my sewing goals. So if you have a question, or an idea, please share that with me. 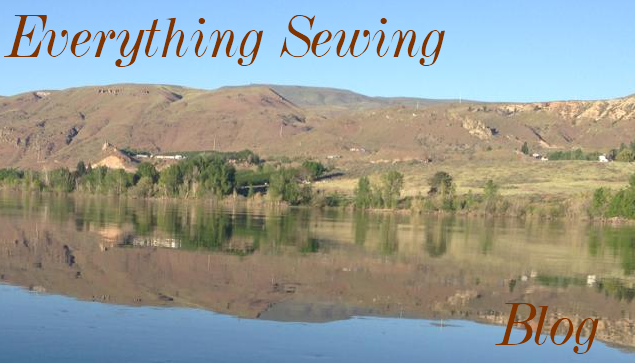 2018--is going to be a great year for sewing. We added a shelving unit to one side of the closet. All that space seemed to be wasted and I needed shelves more then I needed space to hang things. The other side of the closet still has a pole for hanging things. I also have the troublesome drawer somewhat organized. This drawer is right by the sewing machine, so it is used constantly. Now I feel a little better about getting in here and getting some sewing done.